The shop in the premises now occupied by Pizzeria Uno has been through many changes of ownership since it opened in 1897. The first proprietor was Henry Dryden Crowe, a stationer. By this time Henry was in his early fifties and before going into business, he had been a Free Methodist Minister, work he continued, at least in the early days, even while running the stationers. He was born in Darlington and had held positions in the church in various places, including Lincolnshire and Tynemouth, but by 1891 was living in Stannington Avenue, Heaton with his wife, Annie, and their three children. By 1901, although he was running the Heaton shop, he was living in North Shields and in 1902 he took on a business partner, the much younger Alexander Denholm Brash, then aged 27. By 1905 Brash became the sole proprietor of what he variously described as a bookshop, stationer’s and circulating library. He also ran an ‘artistic stationer’s’ in the County Hotel Buildings opposite Newcastle Central Station. Brash’s is second right in the above picture. The confectioner’s next to it on the right of the photograph is what is now Clough’s sweet shop. Alexander Brash had been born in Nottingham in 1875. His father was a Wesleyan minister and as a result, the family moved frequently during Alexander’s childhood and adolescence. In the 1891 census, aged 17, Alexander was described as a draper’s assistant. The family were living in London at this time, but by 1901 they had moved to Newcastle (Elswick) and Alexander was a stationer’s assistant. We don’t know whether he was already working for Henry Crowe, but it’s certainly possible and we can make an educated guess that the families knew each other through the church, Wesleyans and Free Methodists being closely aligned. Although he only owned 92 Heaton Road for around 5 years, Alexander Brash left an enduring legacy. 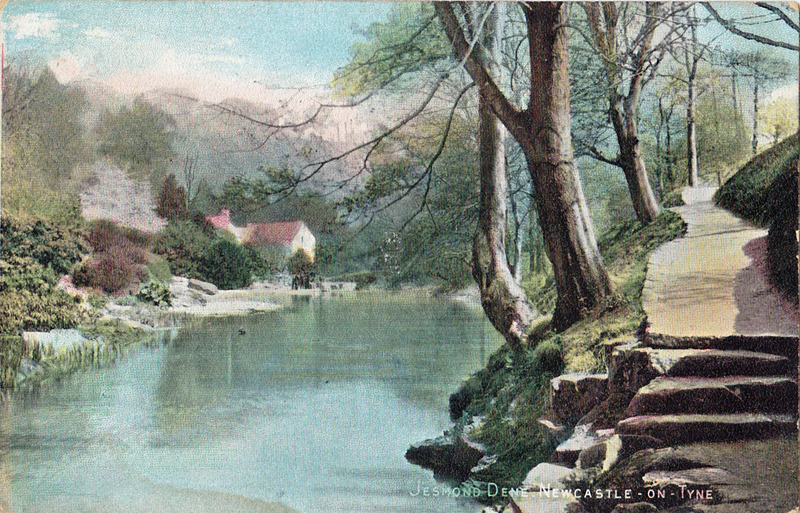 The early twentieth century was the height of the popularity of picture postcards. The Post Office authorised them in 1894 but until 1902, any message had to be written on the front, underneath or around the photograph. Alexander was alive to the opportunities created by longer messages being permitted on the back. There were multiple postal collections and deliveries a day at this time and people used postcards to arrange same day meetings, much as we might use the phone or a text message now. 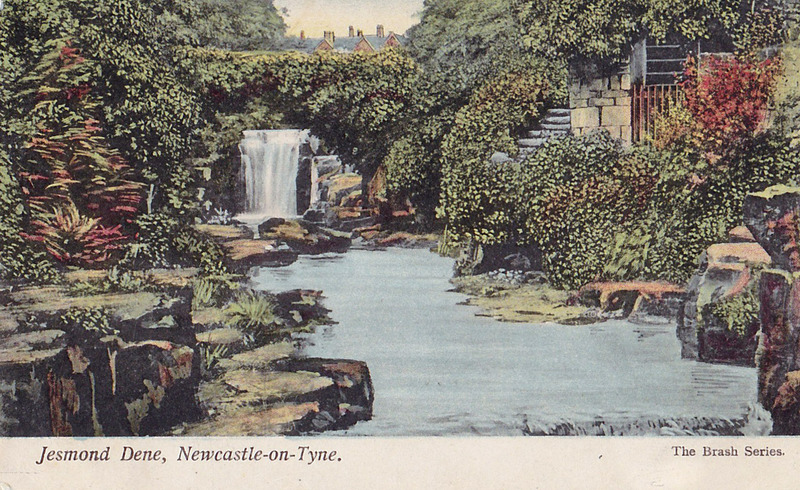 Brash published and sold many cards depicting mainly NE and Yorkshire scenes. Examples of the Brash Series, with its distinctive style, can still be found on Ebay and in secondhand shops today and include local images. Alexander Denholm Brash only stayed in Newcastle for a few years. By the time of the 1911 census, he was described as a librarian and he lived in Paddington, London and worked for Boots. His granddaughter’s husband, Michael Venter, has kindly provided us with some information about Brash’s later life. Alexander married Enid Armstrong, the granddaughter of the Great Western Railway locomotive engineer, Joseph Armstrong. Enid’s father, John, was Divisional Locomotive Superintendent of the Paddington Division, where one of his duties was to supervise the running of the royal train. Like the Brashes, the Armstrong family were Methodists. Alexander and Enid, a ‘nature study teacher’, emigrated to Cape Town, where Alexander was involved in the opening of the first Juta bookshop. (Juta is the oldest academic publisher in South Africa). They later returned to the UK to raise a family. Alexander eventually died in Llandudno in 1943. Between 1907 and 1921, the shop at 92 Heaton Road changed hands five times. It briefly remained a stationers, run by John P Scott, before being taken over by Eastman’s, a large chain of butchers, which had over 20 shops across Tyneside. At the outbreak of World War 1, the shop became a milliner’s owned by James W Doughty. And a year later, the shop changed hands again, this time becoming a branch of what was then one of the biggest brands in the world, the Singer Sewing Machine Company. The sewing machine company’s highly successful business model was based on the machines being affordable via HP and a network of local service engineers which gave customers confidence that their purchases would have a long life. We don’t know why the Heaton Road branch was so short-lived but the next proprietor had much more staying power. Ernest Marshall Harmer was born in Hackney, London in 1879. His father, who originated from Norfolk, described himself in the 1901 census as a self-employed shoe and boot manufacturer but Ernest at this time, aged about 22, was described as an engineer’s turner. By 1906, however, Ernest had relocated to Newcastle, was living at 17 Heaton Road and had a boot makers business in a corner shop at 1A Cheltenham Terrace. His business expanded. 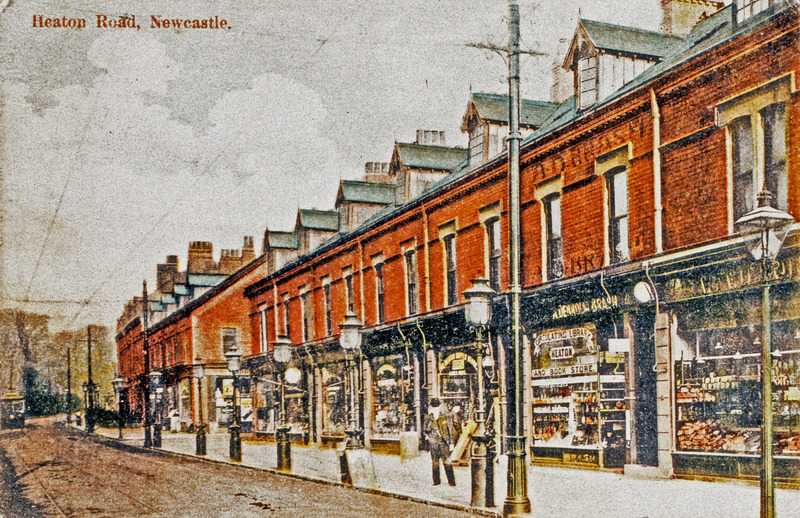 By 1909, he had an additional shop in Victoria Buildings and had married Yorkshire-born typist, Elizabeth Fannie Wilson, the daughter of an auctioneer’s clerk by then living in Jesmond. Ernest soon bought a shop at 259 Chillingham Road, where he and Elizabeth lived. He took over at 92 Heaton Road in 1921. By 1927, he’d moved his own family to the more upmarket Coquet Terrace and was still running two cobbler’s shops. After World War 2, he downsized but was still running the Heaton Road shop in 1950 at the age of 71 and 44 years after opening his first Heaton business. Ernest died in 1957 leaving almost £10,000 in his will, a sizeable sum then. The next business to occupy the premises was also comparatively long lived. In 1953, it became one of Newcastle’s first laundrettes. The first UK self-service laundry had only opened four years before in Queensway, London. When the Heaton shop opened, Laundrettes (Newcastle) Ltd had one other shop in Adelaide Terrace in the west end. Branches in Jesmond, Gosforth and Gateshead were soon to follow and it had a presence in Heaton Road for another 20 years. If you know more about any of the people mentioned here, remember Harmer’s shoe shop or the laundrette, can tell us what came between the laundrette and Pizzeria Uno or have any photographs of 92 Heaton Road, please get in touch. In fact, we’re interested in any historic photographs of Heaton shops and to hear your memories. 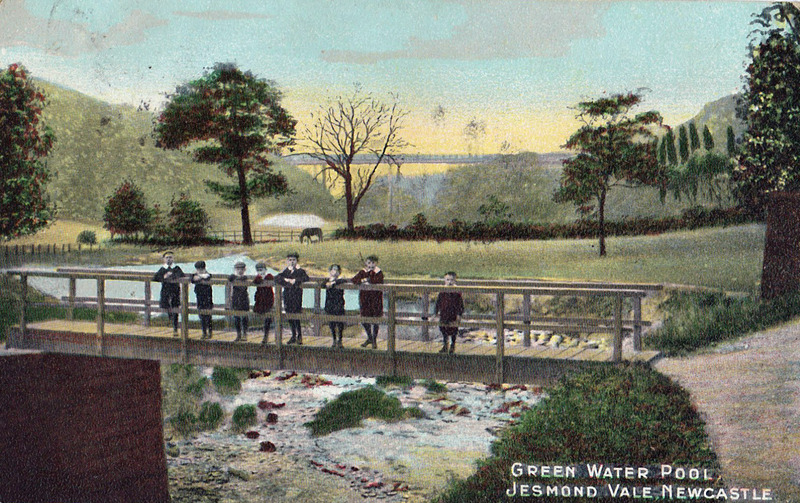 This entry was posted in Research and tagged Alexander Denholm Brash, bookshop, boot maker, butcher, Cheltenham Terrace, Chillingham Road, circulating library, Clough's, cobbler, Coquet Terrace, Eastman's, Ernest Harmer, Green Water Pool, Heaton Road, Henry Crowe, James Doughty, Jesmond Vale, John Scott, launderette, laundrette, milliner, pizzaria, postcards, shoe repairer, shops, Singer Sewing Machine Company, Stannington Avenue, stationer, Victoria Buildings on September 7, 2013 by oldheaton. In 1913 (according to the listing I have) no. 92 was occupied by James William Doughty who described himself as a ‘fancy draper’. At the same time Ernest Harmer was, as you quote, in Victoria Buildings situated between the Heaton Victoria Social Club and Duncan and Crake, Pharmacist, before moving next to what would become Cloughs. I remember Mr. Harmer as being a rather forbidding figure(to me as a young child) who always wore a black jacket, black striped pants and spats!